Foreign nationals entering the country should pass the inspection conducted by an immigration official at the port of entry. A Republic of Korea (ROK) visa is a consul’s recommendation for approval of a foreign national’s application for entry. A foreign national holding a ROK visa may fail to obtain entry permission if he/she fails to meet the entry requirements. A ROK visa may be obtained at a ROK embassy in a foreign country. A foreign national applying for a ROK visa must submit the required documents (which differ depending on the status of sojourn) to the ROK embassy. There are two different types of ROK visa: the single-entry visa and the multiple-entry visa. Single-entry visa Valid for three months from the date of issuance. 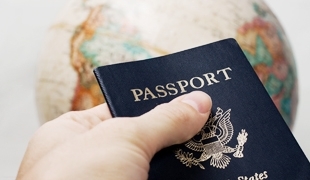 Multiple-entry visa Valid for the period following the date of issuance. Status of sojourn relating to the relevant treaty: As agreed in the treaty. Status of sojourn set under reciprocity or in consideration of national interest: As set by the Minister of Justice. When the relevant foreign national is in violation of a law, including The Immigration Control Act, or fails to comply with a justifiable instruction of an immigration official.The Justice Minister may, under the Immigration Control Act, Article 79, have the relevant foreign national or the applicant come to a government office to listen to his/her situation, when it is judged that such is necessary concerning cancellation or change of a visa.